Celebrating 42 years, ‘Reggae Ambassadors’, THIRD WORLD is one of the longest-lived Reggae bands of all time, and one of Jamaica’s most consistently popular crossover acts among international audiences. 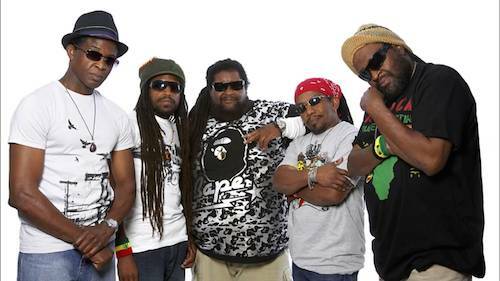 Mixing in elements of R&B, funk, pop, and rock and, later on, dancehall and rap, Third World’s style has been described as “reggae-fusion”. Singer Bunny Rugs described the band’s sound: “Strictly a reggae band, no. Definitely a reggae band, yes.” Guitarist Cat Coore said of their music: “The hybrid of various types of music is a natural thing because, by growing up in Jamaica, we know the direct roots of reggae and ska. At the same time we live in a country where you get to hear Chuck Berry, Fats Domino and all the R & B artists.” Bassist Richard Daley said, “We took roots reggae music and put branches on top of it”. The genesis of Third World was originally formed in 1973 by guitarist/cellist Steven “Cat” Coore, keyboardist Michael “Ibo” Cooper, drummer Carl Barovier and singer Milton “Prilly” Hamilton all of Inner Circle, along with bassist Colin “Oliver” Leslie. Tomorrows Children bass guitarist, Richard Daley soon replaced Colin Leslie and Leslie teamed up with Darren Green to manage and organize the group. After a few months, Barovier was replaced by Cornell Marshall, and the group made its live debut that year at Jamaica’s independence celebration. They played in and around the Kingston club scene and on the hotel scene island wide, making a name for themselves as one of the few fully self-contained bands around. In 1974, percussionist Irwin “Carrot” Jarrett joined the group and that same year they recorded their debut single, “Railroad Track”. In 1975, Third World was eager to broaden their musical horizons and took a chance by travelling with no tour dates on the books to England. The trip was fortunate and the band subsequently inked a deal with the internationally minded Island label, who sent the young talented musicians out as the opening act for Bob Marley & the Wailers’ 1975 World Tour. 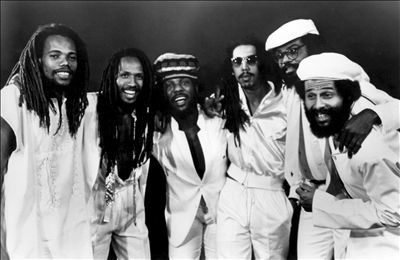 Their self-titled debut album, Third World was released on the Island imprint in 1976 and featured a popular cover of the Abyssinians’ the roots classic “Satta Massagana.” The follow-up, 1977’s 96° in the Shade, introduced new drummer Willie “Roots” Stewart and new lead singer William Clark, aka Bunny Rugs. The LP was an enormous critical success in the U.K. and Europe, and spawned an all-time classic single in the title track. That set the stage for the group’s commercial breakthrough album, 1978’s Journey to Addis, which featured a funky, disco-flavored reggae cover of the O’Jays’ “Now That We’ve Found Love.” The song hit the Top Ten on the American R&B charts in 1979, as well as the British pop Top Ten, and the LP climbed into the R&B Top 20. The follow-up single, “Cool Meditation,” made the British Top 20 and they emerged as international stars. Tarrus Riley and Tessanne Chin. Single releases from Patriots include the “Spirit Lives ft Junior Reid & Inner Circle”, a dedication to the people of Haiti after the 2011 earthquake, “By My Side ft Tessanne Chin” and showcased in Robert Townsend’s popular online series “Diary of a Single Mom”, “Good Hearted People ft Capleton”, and a remake of the band’s classic, “96 Degrees In the Shade ft Stephen and Damian Marley”. With 10 Grammy nominations and catalogue of charted hits spanning four decades, Third World accolades include, the 1986 United Nations Peace Medal, 1992 and 1996 Jamaica Music Industry Awards for Best Show Band, New York City Ambassador Award in November 2009 at Brooklyn Academy of Music (“BAM”), 2011 Excellence in Music at the Atlanta Caribbean Festival, numerous awards and accolades from Martin’s International Reggae and World Music Awards, in 2012 William Clark was awarded Ambassador at Caribbean American Heritage Awards in Washington DC and most recently “The Art of Reggae Music” award for 40 years of quality music and dedication at the 2013 staging of Jamaica Jazz and Blues in Montego Bay.